A new study has found since the ban on smoking in enclosed public places came into force, there has been a fall in the number of children being admitted to hospital with symptoms of asthma. According to research carried out by scientists at Imperial College London, there was a drop of 12.3% in the number of hospital admissions in the first year after the law was put in place in July 2007. The findings, which were published in the journal Pediatrics, showed a drop in numbers every year since then - suggesting that the legislation has led to health benefits over a sustained period of time. However, the importance of asthma travel insurance cannot be underestimated for those with the condition. The researchers said the drop in hospital admissions was equivalent to 6,802 fewer a year in the first three years following the ban coming into place. Figures from the NHS showed before the ban came into force there were around 26,969 admissions a year. Dr Christopher Millett, from Imperial College London's School of Public Health, led the study. 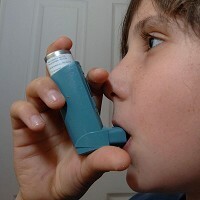 He said: "There is already evidence that eliminating smoking from public places has resulted in substantial population health benefits in England, and this study shows that those benefits extend to reducing hospital admissions for childhood asthma."